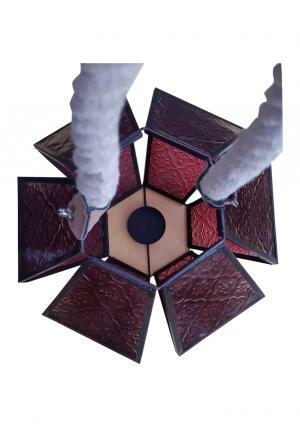 10" (H) X 8" (Dia) red glass rope hanging lantern is handmade by our skilled artisans. 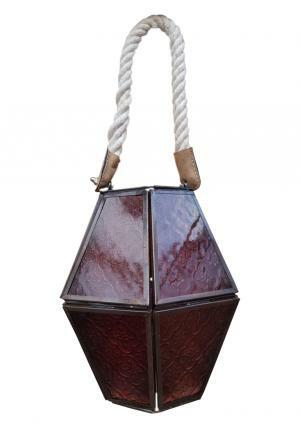 This lantern can be placed in centre room‚ dining hall‚ balcony and in garden as per our choice. It adds additional classy look to the location. It is designed to make it hang with the help of rope. It can be folded and very comfort to use and it weighs 1.07 Kgs. The candle lantern is finished with copper antique and suitable color glasses. We provide free shipping‚ safe and secure payment gateway through our website. 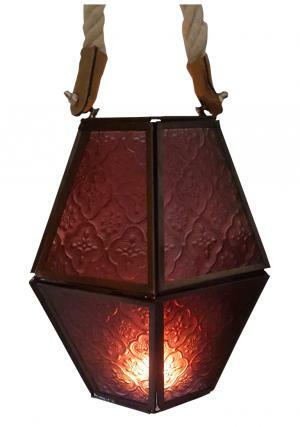 Moroccan lanterns for Christmas lighting and which suits just right beside your Christmas tree decoration. 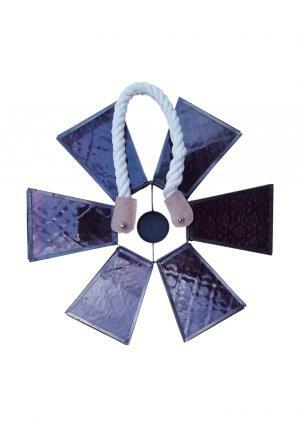 Perfect gift for Christmas to your friends, neighbours or relatives to decorate the Christmas tree at home. Moroccan Candle Lanterns are great Christmas gift as they make your aunt's house perfect this Christmas with special colors like red, yellow, blue to hang around Christmas tree and outdoor decor. 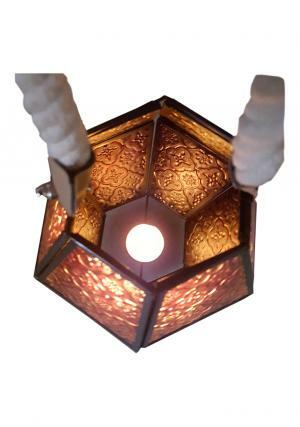 Shop now to avail free or expedited shipping on handmade brass metal Moroccan decorative Candle Lanterns.